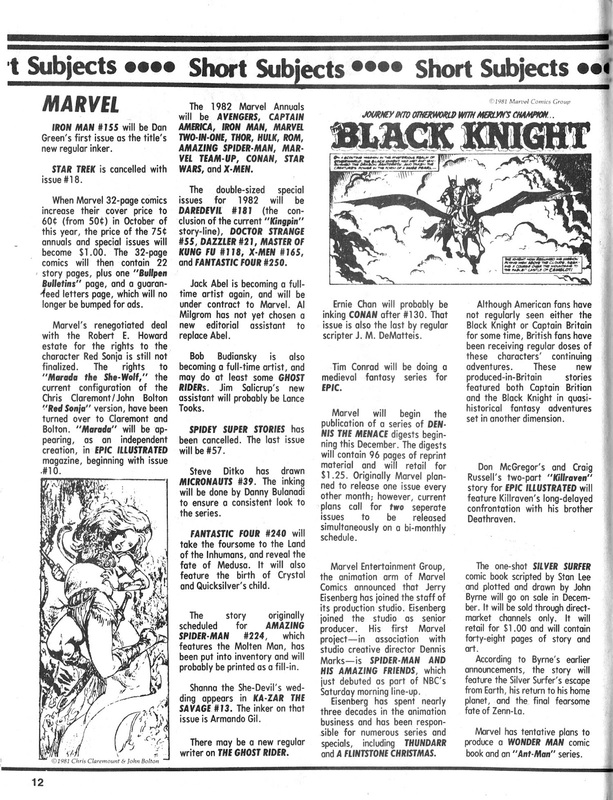 What was happening in the world of comic books at the end of 1981? 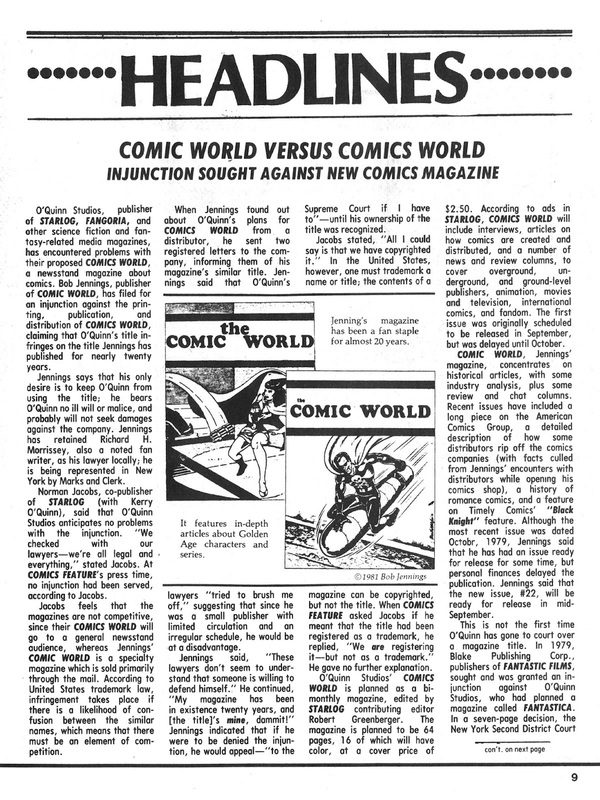 Here's the news pages from COMICS FEATURE issue 15 (cover-dated January 1982) to reveal all. 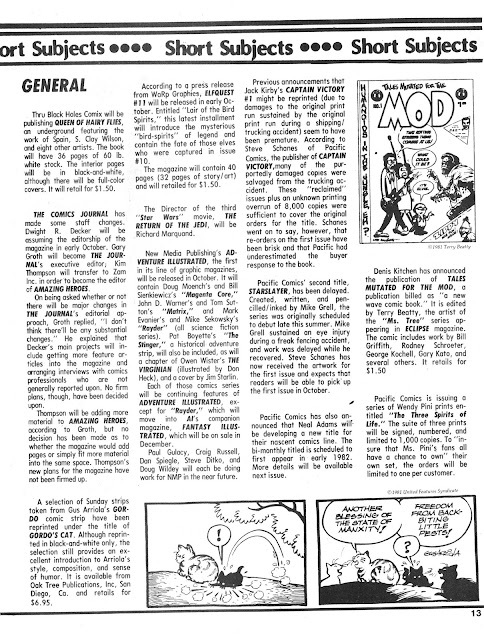 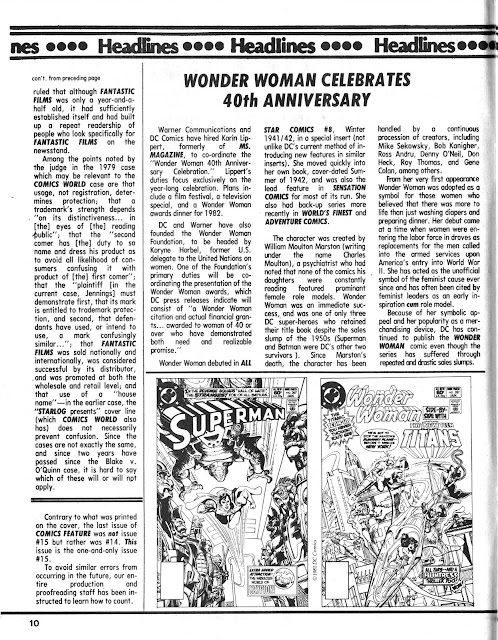 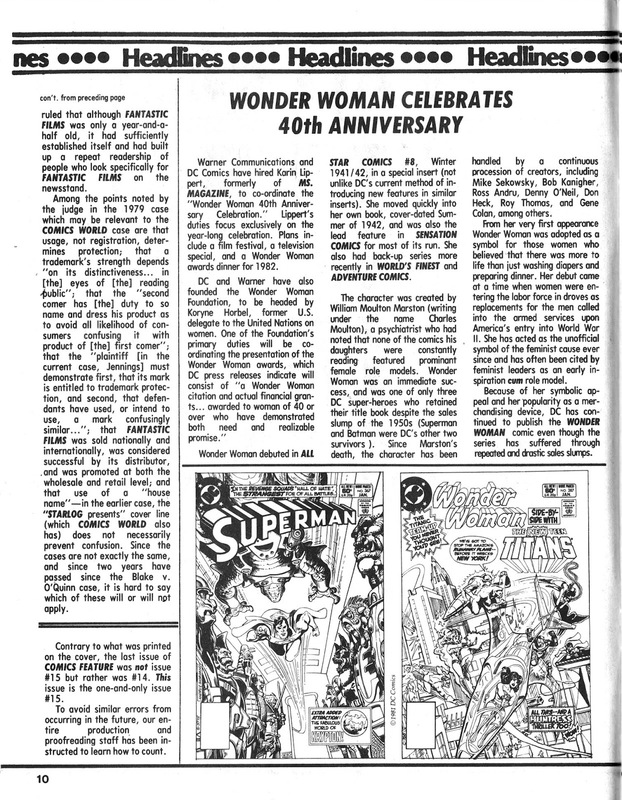 The big story is that Starlog's planned COMIC WORLD spin-off is mired in a legal dispute. A swift name-change to COMICS SCENE fixed the problem. 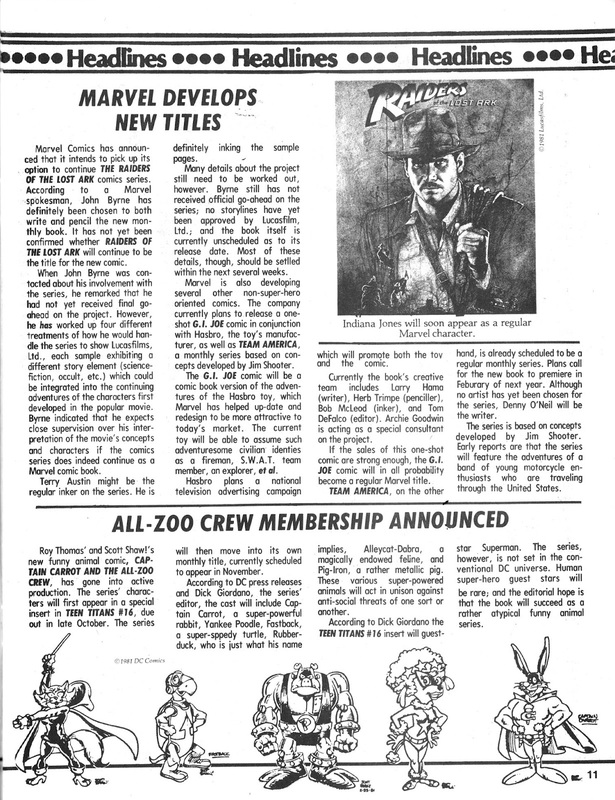 In other news: Marvel announce plans for comics based on G.I. 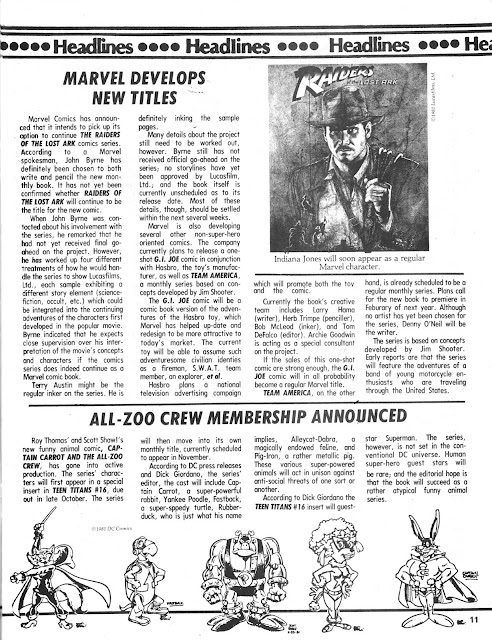 JOE, INDIANA JONES and - err - TEAM AMERICA. 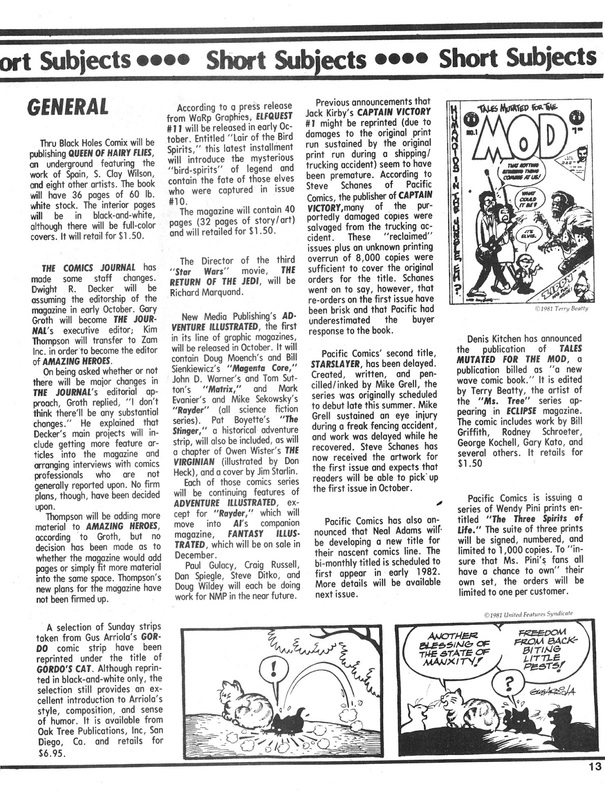 And their STAR TREK title beams out after its 18th issue.